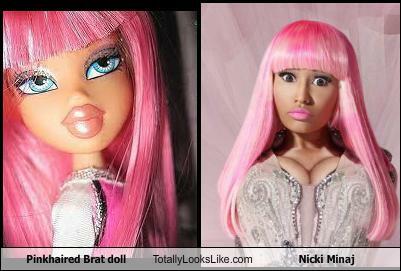 Look Out Nicki Minaj There's A New Doll In Town! Look out Barbie their is a new Nicki Minaj Bratz doll in town that resembles the rapstress! lol I stumbled on this website called TotallyLooksLike.com and thought this was cute pretty dope and the website is funny too check it out! !